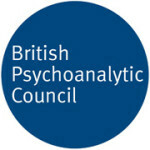 The British Psychoanalytic Council is a professional association and voluntary regulator of the psychoanalytic psychotherapy profession, publishing a Register of practitioners who are required to follow our ethical code and meet our fitness to practice standards. We promote excellence in psychoanalytic thinking and psychotherapy; safeguard the public; promote the highest standards of training and research; and work to make psychoanalytic psychotherapy accessible to all. Who the service is for: There are around 1450 registrants of the BPC, working across the public, voluntary and private practice sectors. Many of our members are senior consultant psychiatrists, clinical psychologists and leading figures in the field of mental health. How to access: 'Find a Therapist' function available on the website. Browse through the website to find out about news, events and publications.